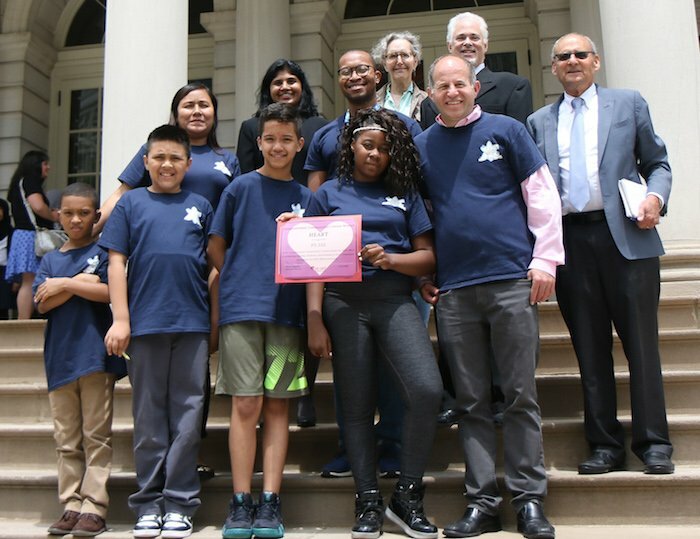 HEART has just completed our year-long Compassionate Communities Award Competition in collaboration with the NYC Mayor’s Office and the NYC Department of Education. We are very pleased to report it was a great success! 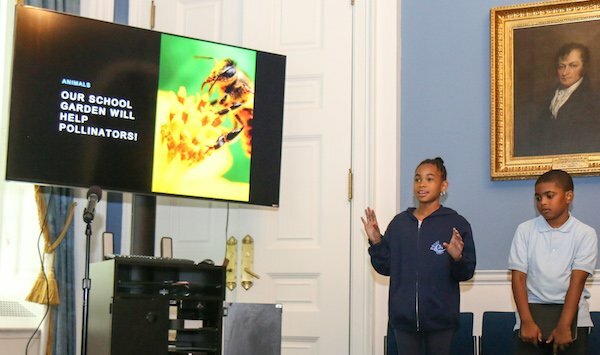 The competition engaged all of the elementary schools in Bronx District 8 in an innovative program designed to share humane education practices and resources that inspire respect, empathy, and social action. We structured our competition around the concept of community because we believe that life-long compassionate engagement can be most powerfully awakened in individual students when it is expressed in all aspects of the community that guides and sustains them. To that end, each of the participating schools was asked to develop and implement lessons, activities, and service projects within their school community that reflect upon the meaningful connections between the needs of the people in their neighborhoods, and those of the animals with whom we also share the world: our companions, farm animals, and our wild animal neighbors. HEART shared extensive resources with each school that explore these connections from many different perspectives, and had frequent contact throughout the school year with teachers, parent coordinators, and administrators through email up-dates and face-to-face visits. These educational and service experiences were then paired by the schools with a proposal for how they would use our grand prize money of $10,000 to further enhance their compassionate connections both within the school and in their wider community. 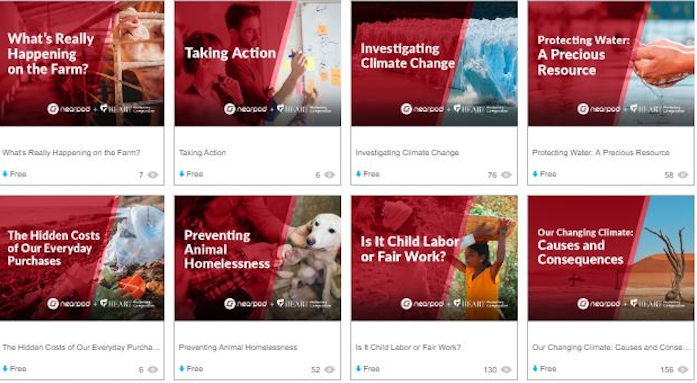 We had a semi-finalist round of submissions in early June, where schools shared power-points or videos that documented all of the different educational and action activities accomplished throughout the year for the competition. With much difficulty we were able to select a set of five finalist schools that really demonstrated excellence in the quality of the connections they made, the degree to which the whole school was actively engaged in learning, and the impact that their work would have on advancing our humane education and social action goals. Each of the five finalist schools was invited to bring a few students, teachers, and parents to attend an exciting event at City Hall — which included a private tour of the building and grounds — where they then discussed and screened their digital presentations before an independent panel of judges from diverse backgrounds. 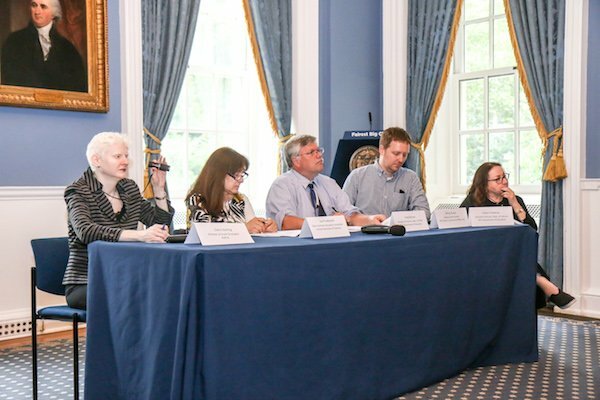 These judges who generously donated their time included the Executive Director of Literacy and the Director of Science at the NYC Department of Education, the Deputy Commissioner in the Mayor’s Community Affairs Unit, the Chair of UFT’s Humane Education Committee, and the ASPCA’s Director of Grant Strategies. Each of our finalist schools had a different focus in their approach to teaching about and taking action around people/animal connections in the communities. Two of our finalists have the goal of creating a community garden on their properties, as a way to provide more fresh vegetables and fruits to their students, and also to their surrounding neighborhoods, which are underserved in terms of fresh, whole food options. One of these schools focused on learning about the positive impact of local gardens for urban wildlife and for our urban habitat, and the importance of eating whole, fresh foods for human health. They then created a student-led ‘Don’t Stress/Eat Fresh’ program that reached out to a local bodega and got them to start selling a low-cost fresh fruit cup that the students helped to market in the school and in the neighborhood. The other garden school learned about the inhumane conditions of factory-farms, and why eating more plant-based foods is both healthier for us and kinder for the animals and the planet. They also learned how local and organic gardens like the one they want to create can help wildlife threatened by large-scale chemical agriculture, and that our reliance on plastic containers and bags also threatens our oceans. 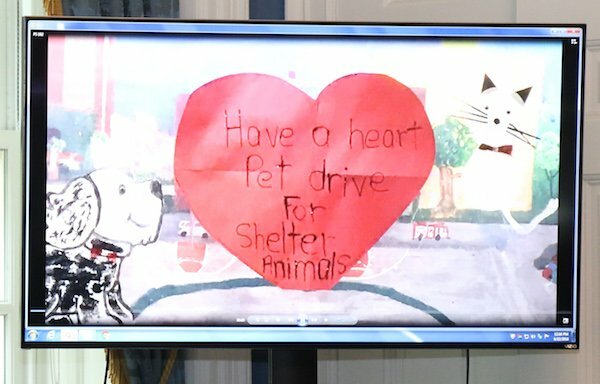 One school conducted a very successful drive that raised money and donations to a local animal shelter support organization. Another finalist school focused on the needs of companion animals, and put together an impressive set of events and school-wide activities that taught about the causes of animal homelessness, puppy mills and the many other reasons to ‘adopt/not shop’ for a companion animal, and connected the ways that students can express empathy towards other people to fostering empathy towards companion and other animals as well. They also conducted a very successful drive that raised money and donations to a local animal shelter support organization. They were hoping to bring a mindfulness and yoga program to the school as a way to reinforce the skills and school environment that promote compassionate behavior. A fourth finalist has incorporated the Tribes social-emotional development curriculum, which emphasizes fostering kindness and compassion, into all aspects of their school, and highlighted their ‘Super Kids on a Mission’ program for our contest. This program gets students out into the community doing work that they themselves decide on to help other people, the animals of the neighborhood, and the natural spaces around the school and the city. Their presentation and the 3rd grade ‘Super Kid’ who attended the event shared many of the projects they have done this year, and the ways that respect, kindness, and compassionate actions are expressed in the students’ day to day school life. They wanted to extend this Super Kids program into an after-school setting, which would help their parents, and allow more students to participate in taking compassionate community action. Last but certainly for HEART not least, our winning school presented to the judges a range of learning experiences engaging students from many grades, that focused on fostering social-emotional skills through empathy for and interaction with our animal neighbors. This school directly connected opportunities for students to reflect on how they can extend empathy to other people who are different or difficult to deal with in their lives, to numerous programs that brought the lives and needs of farm animals, companion animals, and other local animal species into the classroom. Their proposal was to help fund a school ‘Comfort Dog’ – a specially trained rescue dog adopted by a school staff member, who comes to school every day and is available to students in need of emotional support. This program comes with a well-regarded Yale University developed social-emotional curriculum to help teachers and staff use learning about animals and interacting with their Comfort Dog to effectively promote empathy and positive social skills. They also want to be able to make regular visits to farm sanctuaries and animal shelters, and continue to connect these experiences with anti-bullying and diversity awareness events and activities. Before the winning school was announced, our Board Chair Brad Goldberg shared the news that all of the four finalist schools that did not win would receive $500.00 to begin the process of realizing their Compassionate Community goals. This generous surprise helped to ease the tension, as all of the schools will be able to take real steps towards their proposal aims. The HEART Compassionate Communities Award Competition only had one big winner, but the greatest achievement for HEART has been the opportunity to reach out to so many schools, develop real relationships with them that we hope will continue over time, and share with them the vision and the benefits of humane education. We’re hoping to take our experience with this pilot program and extend our circle of compassionate communities to other schools and districts in the near future. 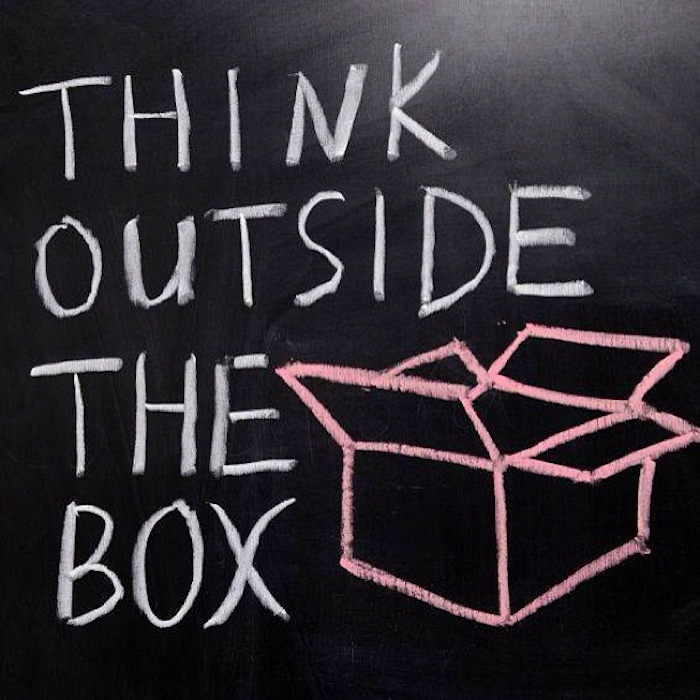 The Value of Thinking Outside the Box Introducing the HEART Network!